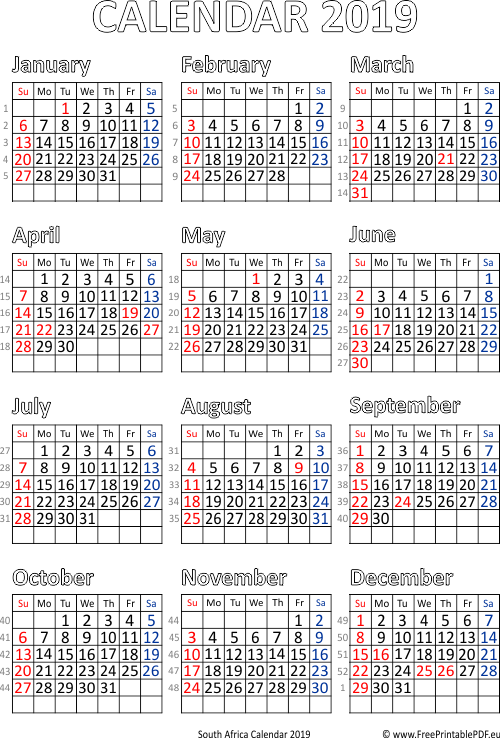 South Africa 2019 calendar printable pdf for Year 2019 with public holidays determined by Public Holidays Act. Saturdays, Sundays and holidays in color. Numbers of weeks included.